President Trump today sent Congress a record $4.75 trillion budget request that calls for a nearly 5 percent increase in military spending and sharp cuts to domestic programs like education and environmental protection for the 2020 fiscal year, as the NYT’s Jim Tankersley and Michael Tackett report. Dive Deeper: “What to Look for in the FY 2020 Defense Budget Request,” by CSIS’s Kathleen Hicks, Andrew Hunter, Mark Cancian, Todd Harrison and Seamus P. Daniels. “Five Things to Look for in the 2020 Trump Budget,” by the Center on Budget and Policy Priorities. Russia is taking advantage of opaque corporate-registration laws, permissive tax environments and uneven anti-corruption practices to expand its economic footprint in certain Western Europe nations despite the sanctions it faces, according to a new report by CSIS, “The Kremlin Playbook 2,” as the WSJ’s Warren Strobel reports. Dive Deeper: “The Kremlin Playbook 2,” by CSIS’s Heather Conley and Donatienne Ruy and the Center for the Study of Democracy’s Ruslan Stefanov and Martin Vladimirov. The chief U.S. envoy for North Korea Stephen Biegun said today that “diplomacy is still very much alive” with Pyongyang despite a failed summit last month, but cautioned that Washington was closely watching activity at a North Korean rocket site and did not know if it might be planning a new launch. 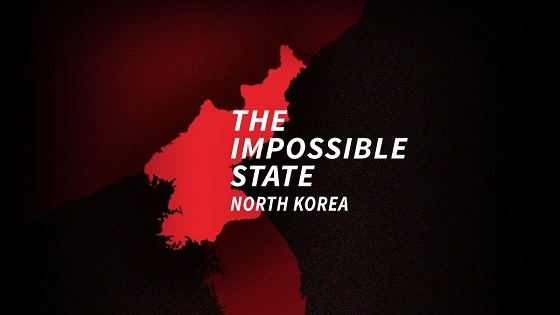 As Biegun spoke at the Carnegie Nuclear Conference, CSIS issued a new report on activity at North Korea’s Sohae rocket launch site, in which satellite images from Friday showed possible preparations for a launch, as Reuters’ David Brunnstrom and Matt Spetalnick report. Dive Deeper: “Sohae Launch Facility Update—Work Continues; Concealment of Launch Pad and Engine Test Stand,” by CSIS’s Joseph Bermudez and Victor Cha. The White House is proposing a defense budget increase of $33 billion to fund efforts against China and Russia, rogue states such as North Korea and Iran, and to fight Islamic State and other militants in Iraq, Syria, Afghanistan and other nations. 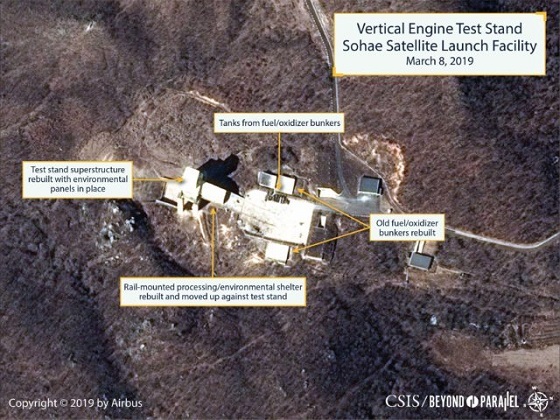 New images acquired on March 8 shows that North Korea has continued preparations on the launch pad and the vertical engine test stand at the Sohae Launch Facility. 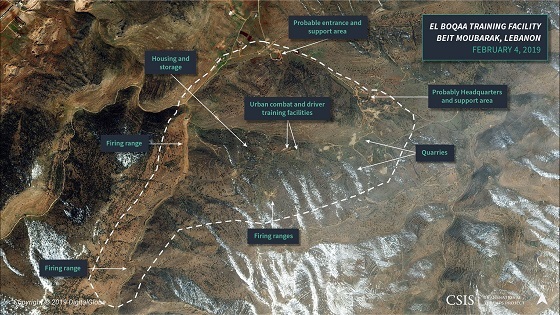 In a new policy brief, CSIS's Transnational Threats Project examines commercially available satellite photos showing Iran's Islamic Revolutionary Guards Corps-Quds Force (IRGC-QF) expanding its presence in the Middle East. This image depicts a Hezbollah training camp near the Syrian-Lebanese border. “The Last Days of Taliban Head Mullah Omar,” by the WSJ’s Jessica Donati. At 1:00 p.m., CSIS and RTI International will host the launch of their new report, focusing on the role of institutions in facilitating and easing the impact of the 4th industrial revolution. Also, at 3:00 p.m., CSIS Freedman Cahir holds a conversation with Klaus Mühlhahn. The conversation discusses insights from Mühlhahn’s new book Making China Modern, followed by commentary from other China experts. And, at 9:00 a.m., Brookings hosts a panel discussion on its new report Empowered decentralization: A city-based strategy for rebuilding Libya, discussing a new strategy for U.S. and its allies in the country. Last week, the CSIS held the next installment of its Smart Women, Smart Power series, hosting Dr. Jody Olsen, Peace Corps Director. The conversation highlighted the role of the Peace Corps in global development, and its role in empowering women. Watch the full discussion here. I finally saw “Bohemian Rhapsody” and of course I loved it. Today “Page Six” reports that there is even talk of a sequel being discussed. Given Rami Malek’s Oscar-winning performance, talk of a sequel isn’t surprising. No matter what, Freddie Mercury and Queen will forever be remembered for their astonishingly powerful music and their iconic performance at Live Aid in ’85. Before Live Aid I had always loved Queen—who didn’t? But I didn’t wear their records out except maybe “Another One Bites The Dust” which certainly blew my young mind when it dropped. And then Live Aid happened. Watching Freddie and the band take the stage from beginning to end glued to the television I had never seen any performance like it nor have I since. When you list the artists that performed at Live Aid in London and Philadelphia that day it is the best of the best bar none. And Queen stole the show. After seeing the film, I had to watch the entire Live Aid performance again. I’ve watched pieces of it over the years but not the whole 24 minutes.